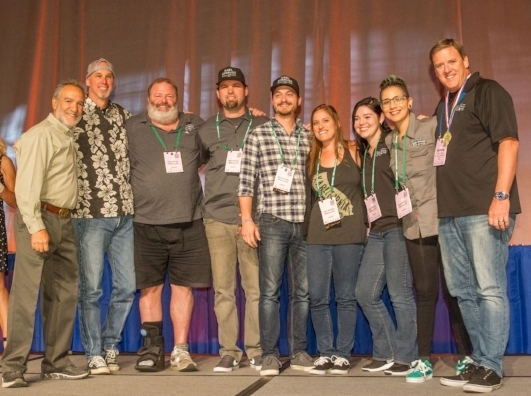 SAN DIEGO, CA — Karl Strauss Brewing Company added more bling to their trophy case with a gold medal at this year’s Great American Beer Festival (“GABF”), the premier U.S. beer festival and competition. The company won gold in the Honey Beer category for their Orange Blossom Common. The beer is a small batch release from their satellite brewery in Carlsbad. “We are delighted to win again at this year’s GABF. The beer that won is a unique California Common Ale brewed with Orange Blossom Honey. Props to our brewer Mickail Murawski for this medal-winning recipe. 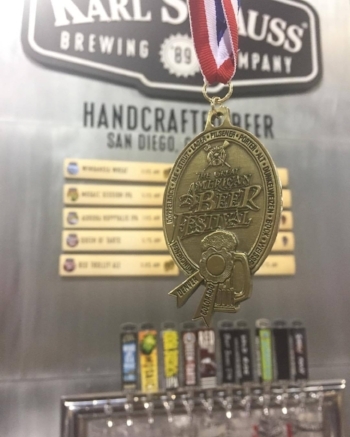 We were also stoked to see many of our independent, San Diego brewery friends also taking home medals!” says Matt Johnson, Brewmaster, Karl Strauss Brewing Company. Karl Strauss Brewing Company has been proudly independent since 1989, pioneering the craft beer scene with innovative beer releases like Aurora Hoppyalis IPA, Queen of Tarts Dark Sour, and Wreck Alley Imperial Stout. The brewery has won 105 medals since 2009 and was recently honored with the 2016 “Mid-Size Brewing Company of the Year” award at the Great American Beer Festival. For more information visit www.karlstrauss.com or call the brewery at (858) 273-2739. Share it. Cheers.